In any big game hunting where you’re not stuck in a tree stand. Whether you’re in a ground blind or on the move doing spot and stock hunting, you need to have some rest to bring to the field that gives you options for various shooting positions. Keeping stability for the aim of shooting is one skill any gunman looks forward to mastering. But unless you are hard rock, there is no way to keep your body as still as one. Bipod is an invention capable of holding the gun top to provide you with the most precise targeting. For a Remington 700, the bipod is an indispensable accessory to enhance accuracy. The gun model is a long range rifle that requires an extreme balance and precision to shoot. Resting the weapon line up on your shoulder won’t help a clean shot. That is why you need the best bipod for Remington 700. We have got some good picks for you just below. You may not have that perfect flat ground for a sniper, but there is a toy let you compensate that uneven. 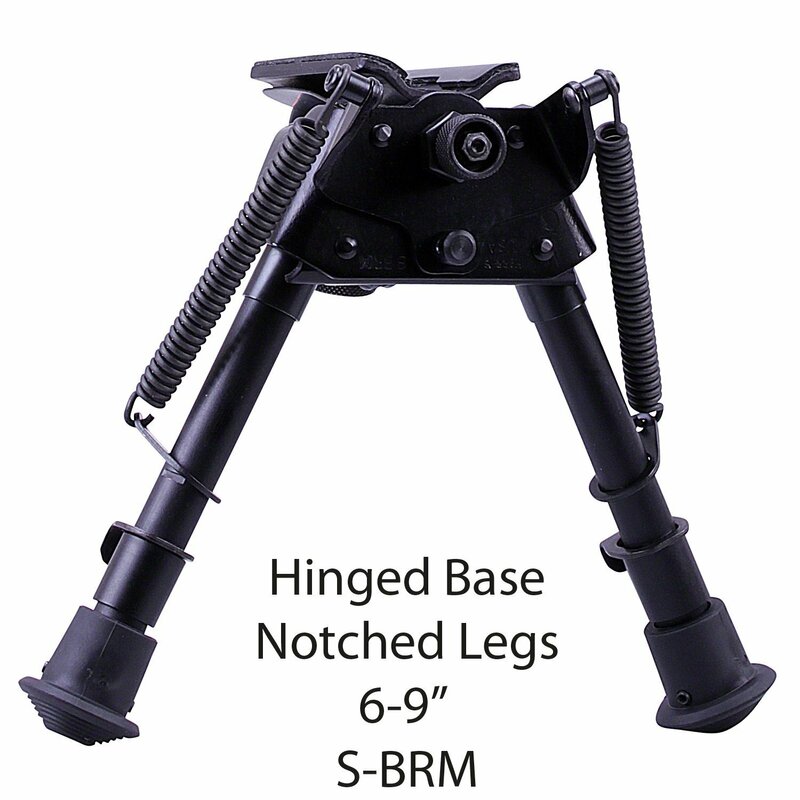 An independently adjustable leg stabilizes weapons and is able to set up almost anywhere. 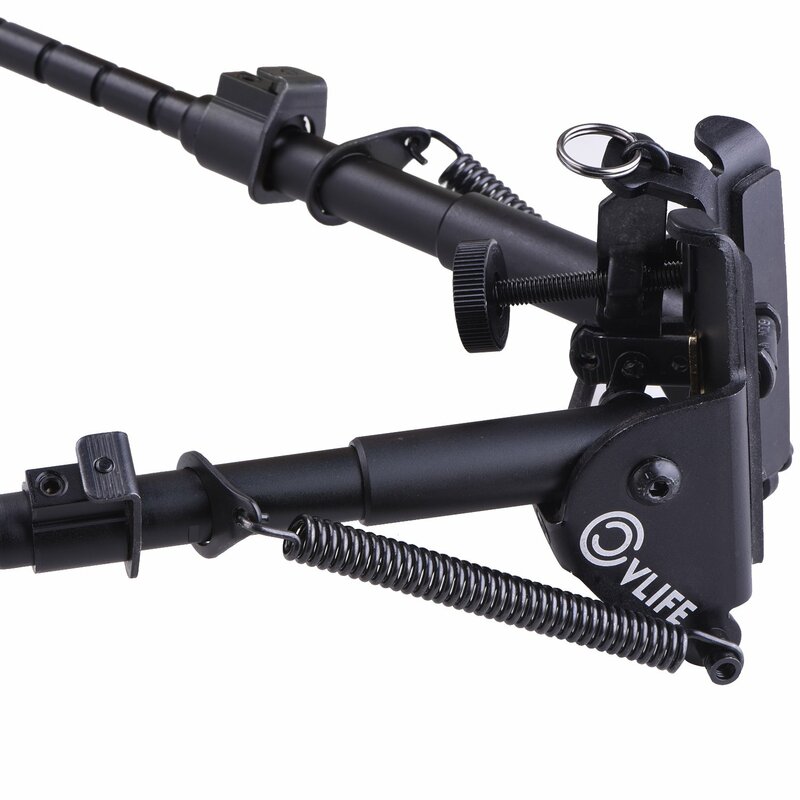 For us, these flexible feet add some cost to your bipod, but it's worth the money. You can as well find bipods designed to shoot sticks. These long and tall bipods won’t attach to rifles. It is designed with a V station to rest the rifle in makes it ideal for shooting standing or kneeling. Bipod’s major material is from aluminum. Some are made from the polymer material to reduce the cost. Bipod can be plastic anywhere but not the body and legs. These components must be crafted from firm material. After all, using a bipod for a gun is not like on a toy. Avoid the whole plastic bipods that claim to suit your Remington. Bipods support not only the weight of the rifle but also deal with recoil. In our perspective, the aluminum bipod is more reliable than a polymer bipod when speaking about long-term use. On a bipod, you want a corrosion resistant coating, most commonly anodized aluminum. There are also parkerized and cerakote options. When shooting, we want to focus on the balance between guns which supports the weapon and location. 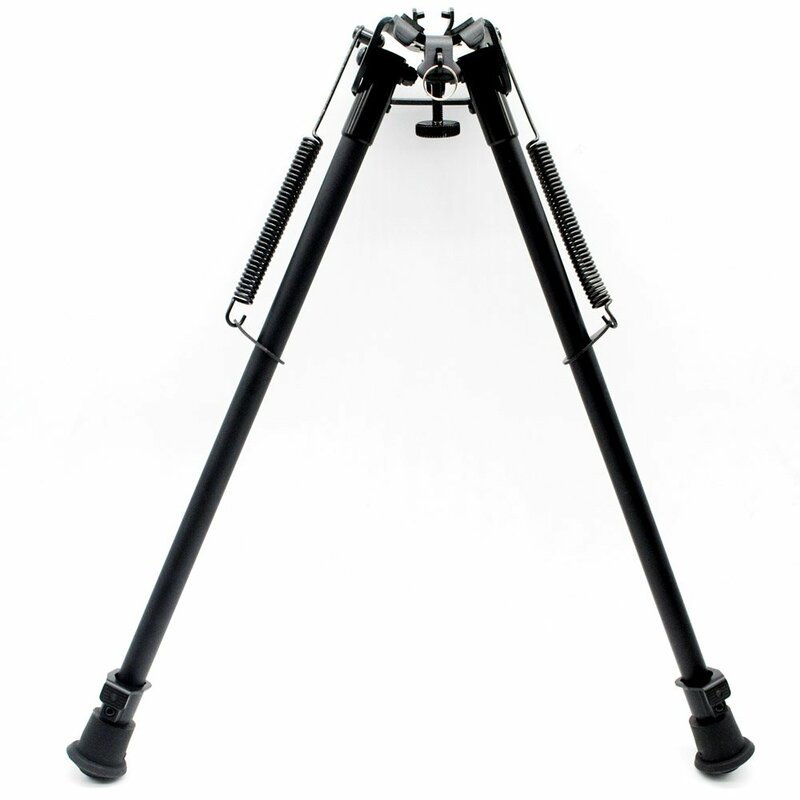 A heavy bipod will cause an imbalance when used in an unsupported position. It weighs the gun barrel and adds more strain to the shooter. Besides, a portable lightweight bipod benefits in carrying on a long trip. An improved Picatinny rail will help to strap the bipods on pic rails hassle free. On conventional rifles, it relies on swivel joints to equip a bipod. Picatinny rails tend to be faster and easier to mount, though they are both stable. There are also adapters to add a swivel sling joint to Picatinny rails vice versa. The ability for the bipod to rotate left and right is measured by degrees. This is a must if you are targeting mobile objects. Rotation allows you to perform micro-modifications without having to move all the rifles and bipods, so does the moving up and down. But you know! This versatility wants some extra from you. Mobility and rotation are only available in products in the higher segments of the market. 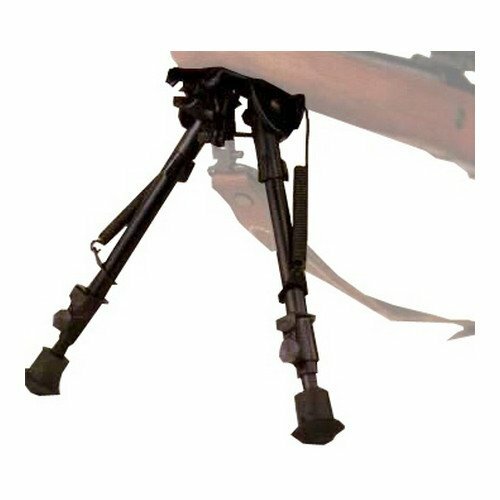 When it comes to a bipod, you will often see many different foot sizes. Hunters who shoot out in the snow want a higher bipod to balance on the rough ground. Gunners using modern sports rifles with standard bullet caps of 30 bullets will need to be higher than shooters with sniper rifles. More features are bangs for the buck. Purchasing some additives like spring-loaded legs or position locks will make your life easier. If you’re lucky, you can earn a good bargain for a bundle. 9 to 13 inches: Ideal for casual shooters without armor who shoot from the ground. 13 to 24 inch: An excellent option for hunting on deep snow and tall grass. It allows tactical gunners to fire at particular locations. 14 to 30 inches: Gunners can shoot in a sitting or kneeling position, ideal for hilly or mountainous regions. Maybe you have had a problem with bipod, but put that in history. 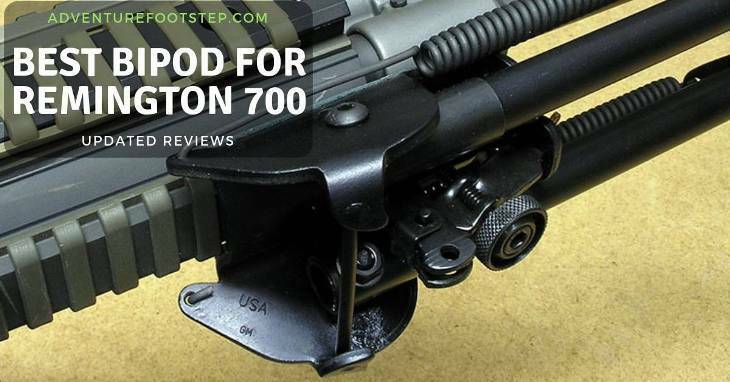 We have gone an extra mile to pile up THREE best bipods for Remington 700 in this list. First of all, this babe comes with a 360 Degree swivel Picatinny adapter. We appreciate the hardened steel and aluminum used contributes to the very stiff build. The anodized black paint promises no rust. This light-duty and lightweight rifle bipod compromise more than its dashed cool look. The head of the bipod can rotate 360 degrees. After installing it into your gun, you can rotate your rifle to different angles. With springs on both legs, you can easily fold your legs up and hold still on a hunting field. The foot length can be adjusted from 6 inches (152mm) to 9 inches (225mm). Do that by pressing the button slightly, it should allow you to pull or stress the length. High-quality rubber at the bottom of the foot makes this strong guy resist to shock and anti-slip. In our field trip in the north before Christmas, this CVLIFE got us through the watery shooting base. Can’t be more thankful. If you wish to sit-shooting, we don’t see why you should ignore this tall guy. We appreciate its portability in a streamlined body. The bipod uses high-grade aluminum finished in anodized black. 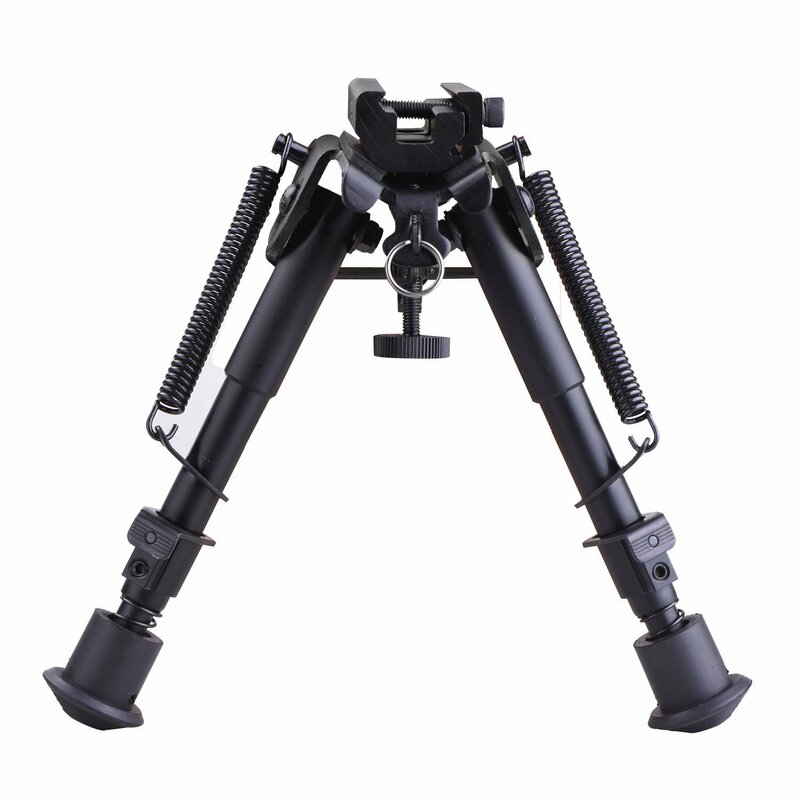 The cool thing is this bipod can extend its length from 13 to 23 inches with five slots and foot release button. So, when you stay down, and you need to spread those legs out farther, they will not swing back in and out. On the flip side, the legs won’t come out super wide when you try to shoot in a standing position. That locking mechanism here is money. Sling stub makes it quick to detach when you’re ready on the move or need to switch targets. It comes with foldable arms with spring for fast settings. The rubber feet will hold on to the slippery ground giving you more confidence on the wet dirt. All in all, this is a worthy investment for those who don’t shoot lying. Alright! Harris bipod. It seems hard for other brands to beat this old man in the field. You will know why. Some people don’t like this feature because it sounds complicated at first. But we got crazy about it and took all the advantages out of it every time on the run. The other thing we love is the swivel which you can mount to your stock. 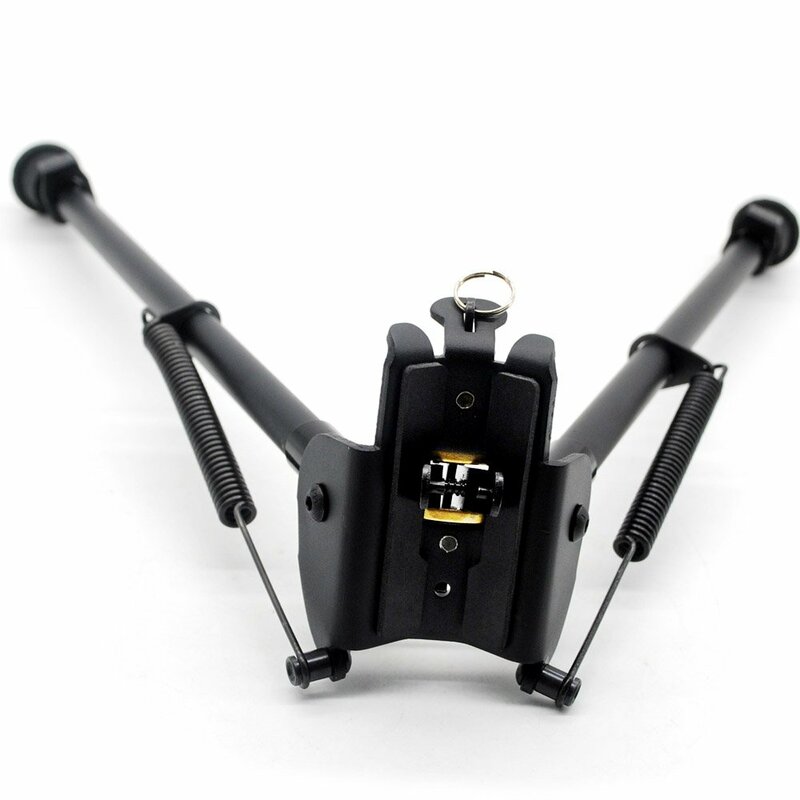 It is adjustable with the swivel screw to increase the resistance. To put this bipod on the Remington 700, all you have to do is to take the quickly detach connectors. Then, push them through the center then attach to the Sling stub, and tighten it down. We use this bipod to shoot off the bench because it has a limited length. But we only wish it to have a rotary base so that we can maneuver without removing the feet. Think carefully and give yourself a good decision. At this point, what product do we recommend using? Which one should you put in the top choice list? Trust us and try out the Harris S-BRM to experience the great. The gear facilitated the ground so well that we almost felt like a solid rock without a move even being mounted. As we fired rounds with the Remington 700, the bipod would not respond to any severe vibration. Thanks for reading, hope you benefit from our reviews, and we’ll see you in our future posts.